Vitamix 5300 Reviews- What Should We Know To Buy? Ever tried looking for a blender online or in your local supermarket? If you have, I’m sure you must have encountered the brand Vitamix. Vitamix is a brand that has become well-known in the culinary world because of the high-quality blenders that fall under its brand. One Vitamix blender that has become quite popular is the 5300. The Vitamix 5300 is a product that seems like a great buy, but if you want to find out for yourself whether this product can help you get a bang for your buck, I encourage you to read on. 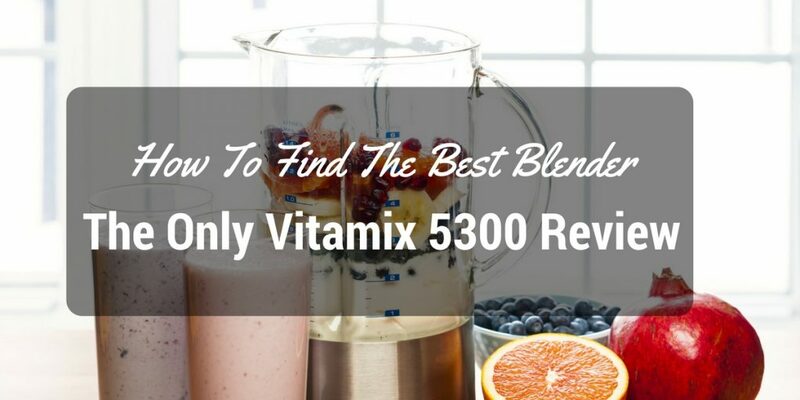 This article is a complete Vitamix 5300 review that will let you know all about the Vitamix 5300’s features, the benefits of owning a blender, and other types of blenders that you should check out. A blender is truly one of the most useful tools in the kitchen today. With a nice blender at your disposal, you will be able to prepare all sorts of ingredients to create a variety of dishes. One things, that blenders are known for making are smoothies and shakes. Only a blender can help you make ice cold smoothies and shakes with finely crushed ice. Another thing that blenders can help you make is baby food. All you will have to do is place all the healthy foods you wish to feed your baby and start blending. A blender is an ideal tool for mixing all sorts of ingredients whether it is hard or soft to make flavorful food mixtures and beverages. The Vitamix blenders often come with an interesting set of features. However, not all models of Vitamix blenders come with the same set of features. Basically, the Vitamix 5300 is a 2.2 horsepower blender that comes with a low-profile container that can easily accommodate 64-ounces of liquids. Now don’t be dismayed just yet by the rather small design that the 5300 comes in, because with it comes to these following features and benefits. The Vitamix 5300 comes with a powerful 2.2 HP motor that can help you process the hardest of all ingredients. Whether you need to crush up ice, hard vegetables, or even bones for gravy, you can easily get a fine mix with the Vitamix 5300. The Vitamix 5300 comes with a handy variable speed dial that can help you attain accurate levels of blending. You can adjust the blend to your liking to produce anything from smooth purees to chunky sauces. The Vitamix 5300 comes with a very useful pulse feature that can help you create several layers of blends. This means you can create smooth vegetable soups or really chunky salsas in just a matter of minutes. The Vitamix 5300 comes with 4-inch stainless steel blades that have been laser-cut for precise and accurate cutting, chopping, and blending. These blades are what makes the 5300 capable of providing a consistent mix. The 5300 comes with a large yet low-profile 64-ounce container that can help you create large batches of blended ingredients. What’s great about the 5300’s design is that it can still fit kitchen cabinets with ease. 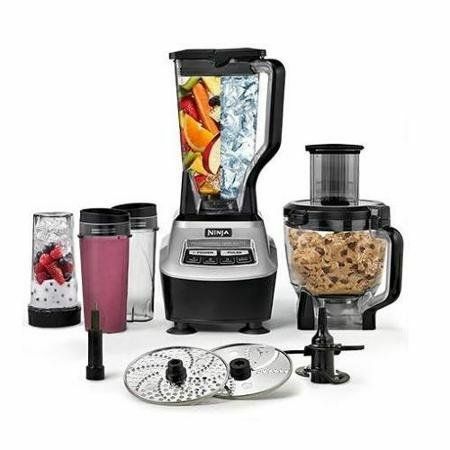 The 5330 is a blender that comes with a complete set of accessories that will allow you to use the blender straight out of the box. 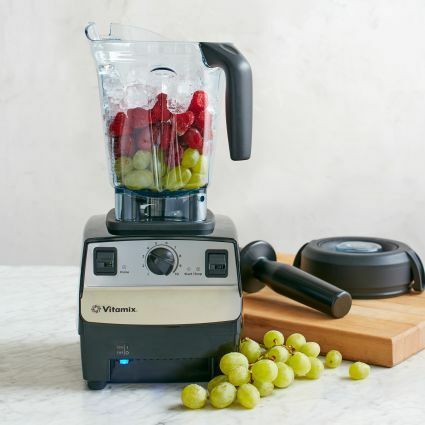 The Vitamix 5300 comes with a wet blade that will help you process wet foods such as fruits, dense meat, and vegetables really easy and quick. 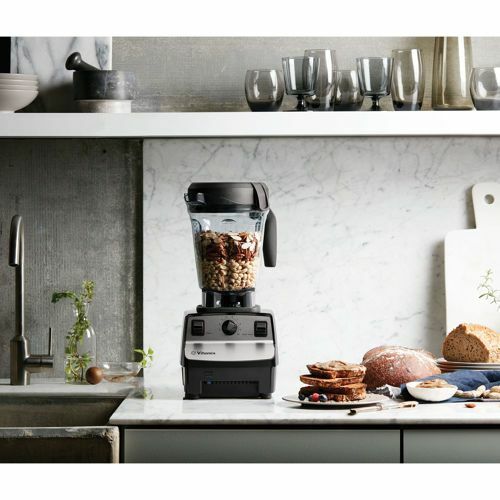 Unfortunately, the 5300 doesn’t come with a dry blade that is the ideal choice for all kinds of dry ingredients. Sure you can still blend dry ingredients using a wet blade, but the blade won’t help you gain an efficient performance like you would achieve with a dry blade. ​The Vitamix 5300 comes in an attractive design that can make it a great addition to any kitchen regardless of the kitchen’s interior theme. The 5300 also comes in several colors. 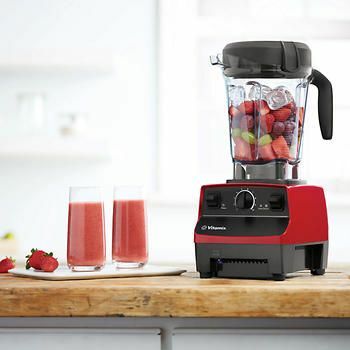 The main container is always black, but you can choose a 5300 blender that comes with a rather stylish red motor base. Know that the design and color of the 5300 model you choose will not affect the overall use and features that this product can offer. The color change is merely for aesthetics. The Vitamix 5300 is a great blender that has garnered a lot of positive reviews. I personally give it a rating of 4.7 out of 5 stars. Other customers who enjoyed the 5300 noted that they were very happy about the useful pulse feature that is really handy when it comes to processing different kinds of food really quick. Another thing users loved about the Vitamix 5300 is the flexibility ot offers with its variable speed dial. They have found that this feature has helped them easily create the smoothest of purees and even the chunkiest of salsas, soups, and sauces. 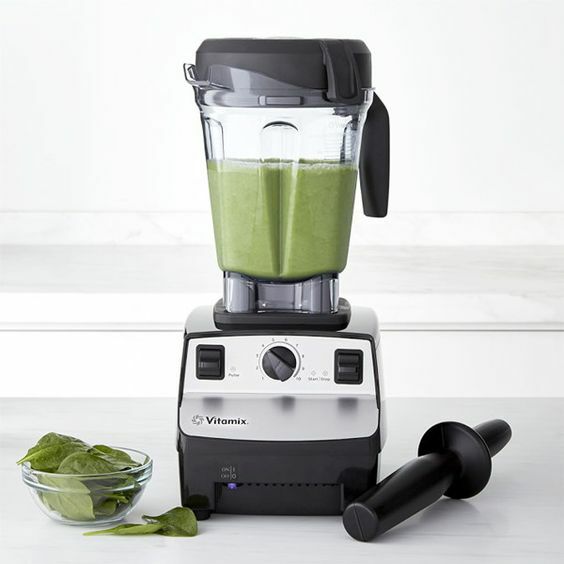 The compact design of the Vitamix 5300 also made users quite happy because they no longer had to worry about having a cluttered countertop when the blender is not in use. It can easily fil any kitchen cabinet or pantry. 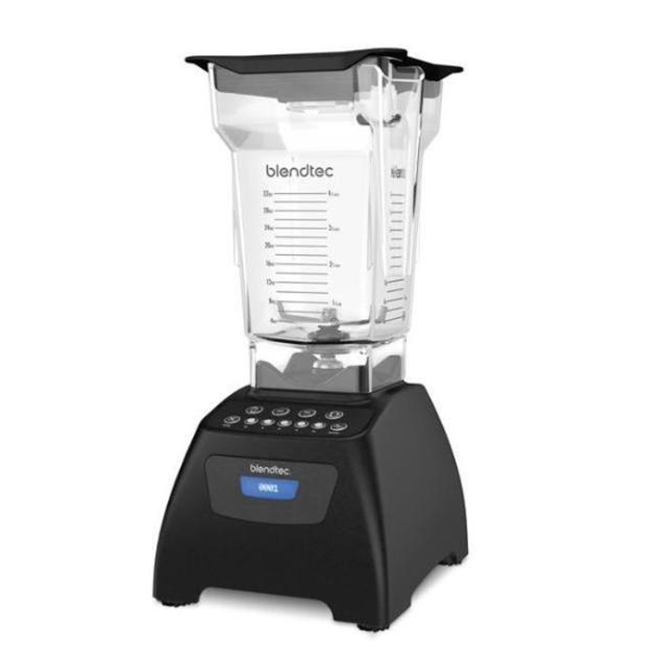 The Blendtec Total blender is another commercial-grade blender just like the Vitamix 5300. Perhaps the main difference between the two is the size of their containers. 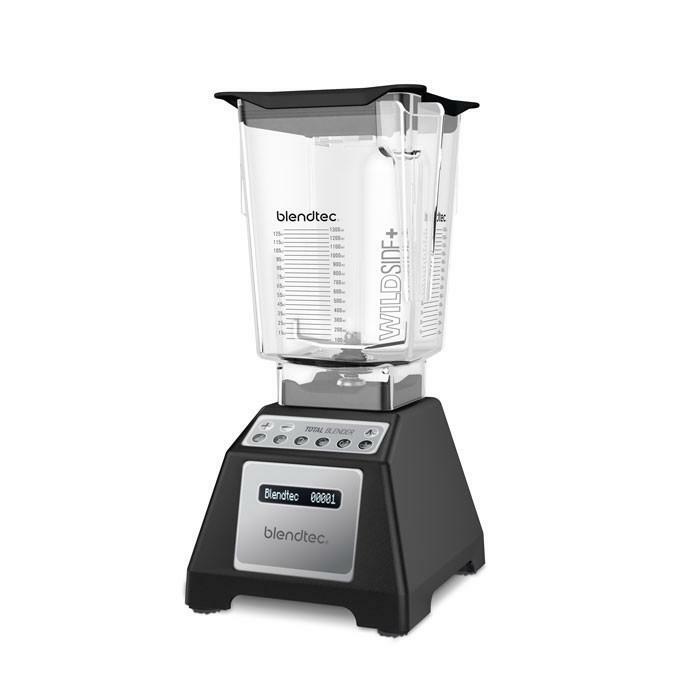 The 5300 comes with a low profil 64-ounce container while the Blendtec total blender comes with a 2-quart blending jar. Another difference between the two is that the Blendtec Total blender has a more advanced interface. It comes with a digital touchpad that will help you navigate through all of its features including those very useful programmed cycles. 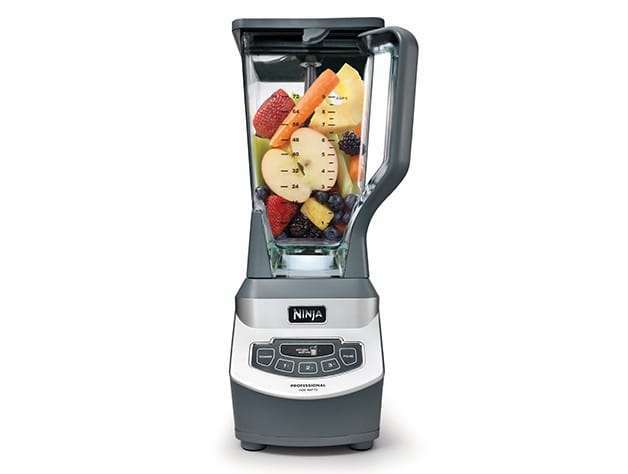 Another blender that is on par with the Vitamix 5300 is the Ninja Professional blender. This blender can perform just like the Vitamix 5300 at a smaller cost. However, do not be mistaken into thinking that the Ninja Professional blender comes with less significant features since it is a lot cheaper. This blender also comes with a very useful set of features. What’s great about this blender is that it comes with a couple of useful programme cycles that can help you save a significant amount of time in food preparation. It also comes with a nice digital display that is very easy to use and understand. I guess you could consider the 570 as the counterpart of the 5300 but with more advanced features. As you can see, the Vitamix 5300 is a blender that really packs a punch. Though it is a lot more expensive than other blenders in the market today, it’s price surely speaks for the performance it is known for. So if you are looking for a high-quality, high-power blender, the Vitamix 5300 is certainly a choice you wouldn’t regret. Do keep in mind though that the Vitamix 5300 comes with wet blades that are ideal for wet ingredients. So if you wish to blend a lot of dry ingredients, I highly suggest getting some dry blades for optimal performance.